Immigration to Canada - AfriCanada.com iVisa - Revolutionary Platform to Get Worldwide Travel Visas Online - AfriCanada Consulting Inc.
iVisa provides a revolutionary and simplest solution to process your travel visa to most countries in the world (see list below). Travelers no longer need to research or get frustrated dealing with different governments visa offices, waiting in long queues, long phone calls etc. iVisa enables travelers to process visas from a computer, smartphone or tablet. iVisa was founded in 2012 by two Harvard Business School students. Based on a frustrating experience that both had during their Harvard MBA program trip to India in 2011, the two stumbled upon the idea to start iVisa. After a tortuous application process to get their Indian visa, Sergio and David decided to simplify the process through a fully online experience. And bravo! iVisa was born!! The formula was obvious: replace the frustrating experiences with Government designed forms and long commutes to, and wait lines in, the visa Embassies with iVisa online travel visa application technology. No frustration, no trips to the city, no long waits on the line, no unanswered phone calls and NO surprises. Which means a better experience for everyone. INSTEAD of long waits and frustrating visa office visits: If you’re traveling and need a visa, just check in online to iVisa site mere seconds and utilize iVisa world-class visa requirements tool. The iVisa database, updated constantly, will let you know if you need a visa and how to get it in minutes. iVisa guarantees that you will obtain a travel visa to your destination if you are eligible. iVisa has 99.7% success rate! iVisa guarantees easy, traveler-friendly application process. Usually 100% online with clear instructions. Much less complicated than dealing with governments. iVisa has world-class data centers and state-of-the-art methods for securing globe accounts and information. Your credit card is not exposed to third parties or even government websites. All the information that you supplied with your visa application will be reviewed by immigration experts before your application is submitted to the respective governments of the destination countries. iVisa experts have years of experience with best-trained staff. iVisa call centers are ready to help you 24/7. Their number 1 goal is to ensure that you avoid the stress of getting a visa, do get your visa and enjoy your travel! We dont want to appear biased. You can google iVisa reviews for yourself and see proof that iVisa is legitimate, professional and reputable. And iVisa delivers! Below are testimonials from happy customers. Also TrustPilot.com has scored iVisa trust score as 9.2/10 so far based on 10,145 customer reviews!. TrustPilot’s score is an instant measure of customer satisfaction based on service reviews collected on Trustpilot. It’s not just an average of reviews. Responsive and Helpful on Chat: Wonderful company to work with – they were very responsive on chat as we made some mistakes on our end. They assured us everything would work out and worked with us until we received our E-Visa. We got it just two days before traveling. I would highly recommend IVisa. If you are in a rush, I would recommend paying the extra to ensure it is ready in time because the government needed more documents and that allowed us extra time to submit. Indian E visa within 35 hours, Highly impressive: ivisa Highly impressive. Thanks to Ivisa team for their great support. I just applied yesterday for my son’s Indian E-Visa in a standard service (96 hours). But in a duration of 35 hours (within 2 days), today I get his visa. Before applying it, we were very confused for the E-visa websites. But thanks to this team for their great quick effort. Highly Recommended to all. I was surprised to get my Visa within 2 hours! I was surprised to get my Visa within 2 hours and amazed at the fact that how hassle free the entire process is. Thank you guys, keep it up. I will make sure to spread the words among my friends. Highly recommend them for anyone need to get E-Visa. I applied to get visa to India. This is the first time I used this service. Easy to apply through their Web form, can add multiple people in a single request. Fast and efficient service. Received visa within few days. Only downside I found is the order of the application process. It request your visa fee payment, in the 2nd step, before completing the application form with all the information. In general, any web based purchases the payment is requested in the last step. This may raise a concern for a first time user. Great experience! Really quick and easy! I received notification that our visas were ready within 3 days of submitting the forms online. I noticed an error (on my part) after the visa paperwork work was issued and I got an almost immediate response to my e-mail letting me know they were working on the change. I will most definitely be using this service for future trips to Vietnam! IVisa treats customer’s like VIP !!! I really have to say that I was an impatient individual and making many mistakes. Didn’t know squa ts about scanning then uploading to send you the info you needed. You guys were very patience, helpful and very courteous and honest since the duplicate payment was returned to me. Will pass your good service forward. Again, thanks for all your help. David Sierra Jr. Applying for a tourist visa to visit India is always a stressfull part of preparing for holiday. There are many confusing websites and fees, however we chose this site and have been delighted with the speed and efficiency in which they were processed…we will use this site next time we go to India, thank you. Impressive service, after trying and failing numerous time at the official site, i thought i’ll have to go another way, that way was ivisa and in a matter of minutes it was done and dusted. thank you ivisa. ps. i paid the same fee that the official site wanted! Glad I found your company! Highly recommend the service. I spent 3 hours trying to complete a visa form on the government website for India and was not successful due to crashes and failures to accept the proper documents upon upload. I searched for a reputable visa service on Trip Advisor and iVisa was the ONLY one that had positive feedback. After my own personal contact with support to validate the company, I went ahead with the process and it worked perfectly. I recommend iVisa for their professionalism, transparency and reasonable costs. The service fee of $35 was well worth it given the frustration and time wasted trying to manage it on my own. I only wish I had found iVisa sooner. I am an active traveler and could have used their help in the past. I will use them in the future. I first tried using another email Visa company. The forms were very difficult to fill out & it took me so long I decided to make it the second level (rush) application. The cost escalated to over C$350!! Using this company – iVisa – I was able to apply for two visas simultaneously, & they were provided in only a day & a half & the cost for two was much less than the other site wanted for one application! I am really pleased with iVisa’s service – easy forms, quick service & cheaper cost. Thank you so much! 100% would recommend this service… I was in need of a visa to Australia with a flight in less than 12 hours!!!!! I was in a completely state when I woke and my visa had not yet come through so I thought I’d give this a try I was skeptical but it was a fantastic service got my visa sorted within 30 minutes fast easy and just couldn’t be happier!! Now I can have a stress free journey thanks!! Amazingly Easy To Get a VISA. The last time I received a VISA for Vietnam was in 2009. I had to send my passport with a VISA request to the the Vietnam consulate and wait 4 to 6 weeks for the return of the passport along with the VISA. iVisa makes getting a VISA a no hassle event. I went online and filled out the request. Payed with Paypal (there are several methods of payment available) and sent a face picture along with a picture of my passport. Just a few days later, I received the letter of entry from the Vietnam immigration service. Truly quick and painless. Amazing! What is an eVisa? An e-Visa is an official document permitting entry into and travel within a certain country. The e-Visa is an alternative to visas issued at the ports of entry or visiting an embassy/consulate to obtain traditional paper visas. e-Visas are linked electronically to the traveler’s passport. How do I know when I need a visa? Our service starts with information. You can use our up-to-date visa requirements tool to search if you need a travel visa. It’s as simple as telling us where you are from and where you are going. Based on this information we will tell you how much the visa costs, the number of entries, the start date and give you an action step such as applying directly on our site! How long is my visa valid for and how much does it cost? The best place to find this information is our visa requirement tool. Each country has different entry rules and visa fees. If you are in a rush you can also apply online and the form will give you this information as well. Once I apply, when I will receive my visa? It depends on the country issuing the visa. For many countries such as Australia ETA and Turkey e-Visa, the process can be done in 15 minutes through our rush service. For other countries such as the India tourist Visa, the process usually takes 24 hours. The exact time can be found on each application form. What we guarantee is that your application with iVisa will be the fastest way to apply anywhere. What are the specifications for printing the e-Visa? The documents must be printed on a sheet of blank A4 white paper. Double-side or reduced printing will not be accepted. Why choose iVisa? We help you get your travel visa in the simplest and fastest way possible. Through easy-to-use online application forms and world-class 24/7 customer service, we make the whole visa process quick and simple! We also use best practices when it comes to protecting your data and credit card. What kind of visas does iVisa process? iVisa offers two types of Visa: Electronic visas (e-Visas) and traditional paper visas, based on your destination. In addition, we also offer the following services/documents that are required by certain countries: ETA (electronic travel authorization), Tourist Cards, Visa on Arrival pre-registration/approval form, Tourist Invitation Letters, and Embassy Registration service. Why does iVisa charge a service fee? Please note most countries offer the ability to process a travel visa without a service fee. The main reason we process thousands of travel visas per month is we save you time and frustration. Our service includes an easy to use website and application form. It is much easier to process your application with us especially for mobile users and large groups. We send all of our clients the visa days before travel. This is especially helpful for those passengers who purchase the visa months in advance. We also have a 24-hour customer service with professionals that are based in the United States and speak English. We accept multi-currencies and our website can be translated into over 20 languages. We believe our fee is worth your time and sanity but please note all governments do have their own “free” service. Where can I check the status of my visa application? If you have already applied on our site, please log in to your account and look for your order/application. An account is generated for you automatically after payment is received. Click the link in your confirmation email to set up a password or visit the log in page to set up the password and enter the account. Please note in most cases your visa will be delivered to you via email and can be found in your account after logging in. If my visa is rejected, do I receive a refund? 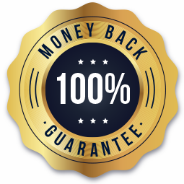 If your visa application is not approved by the government agency, we will provide a full refund under our approval guarantee. If for any reason, you are not satisfied with our service please contact us via chat and we will provide a refund of your service fee. If a mistake is made on your application, we will process your visa again at no cost. Please note refunds are credited back to the same credit card used. Do I require a vaccine when traveling abroad? Some countries may require proof of yellow fever vaccination if you are arriving from a country with risk of yellow fever. You can see more info here: https://wwwnc.cdc.gov/travel/destinations/list It’s the passenger´s own responsibility to verify these regulations before traveling to the chosen country. How can I get an invoice for my order?In order to download your invoice, please log in to your account and download it directly from there. What should I do if my e-Visa is lost, defaced or damaged?You may reprint the e-Visa in your email account. Alternatively, you may retrieve and reprint the e-Visa by using your iVisa account. Is my credit card information safe?Yes. The iVisa system does not retain your credit card information after the transaction is processed. All visas grant travelers the permission to travel to a country’s port of entry. Whether you are granted entry or not will be at the discretion of the Immigration Officer at the entry point. What happens if I’m applying from an overseas territory or a dependency from another country? All citizens from these territories applying through iVisa website will have their application processed with the nationality/citizenship specified in their passport. As an example, a traveler from Puerto Rico will have their request processed as USA nationality. This does not apply to the travelers under the BOTC (British Overseas Territories Citizen) category according to the British Overseas Territories Act of 2002. Travelling to Canada? Check out Canada visa requirements.